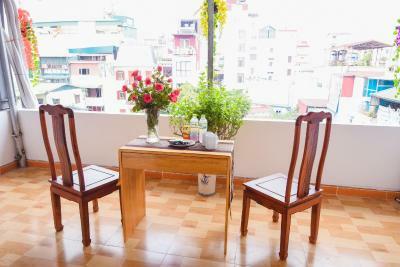 Lock in a great price for Hanoi Old Town Palace Guest House – rated 8.7 by recent guests! Staff was very helpful, didn't want to rip us off. The hotel is in the old quarter, so most of the attractions can be reached by foot. Room had big shared balcony. Everything was good, next time i would definitely stay there again. Yes i accept its hard to find maybe but it surely worth that money you spent. Thanks to Lucy and her team. Beside of other places all rooms have window and 4th floor rooms has a balcony. The room was small yet the two big beds were uniquely arranged. Clean and comfortable. It is worth of money. We do enjoy our stay at the hotel. The room is big and clean. Breakfast is great and variety. Staff are really nice and helpful especially Leo. He help us in arranged the transfer and activities. And location was great. The staff was extremely helpful and cared about their business. I would stay here time and time again. 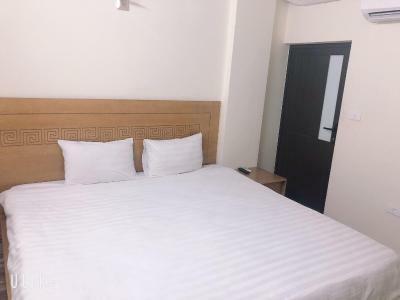 Strategically located in Hoan Kiem district, Hanoi Old Town Palace Guest House offers elegant and stylish accommodations with free WiFi access in the guest rooms. It operates a 24-hour front desk and features a restaurant. 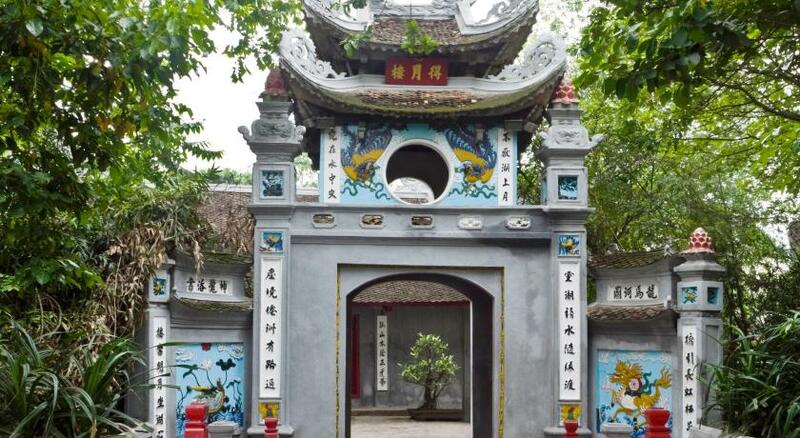 The property is just 1,000 feet from St. Joseph Cathedral and 1,650 feet from Ngoc Son Temple. 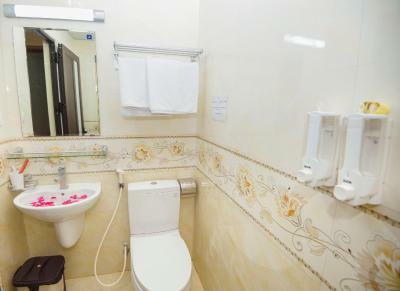 The nearest airport is Noi Bai International Airport, 13 mi from Hanoi Old Town Palace Guest House. Air-conditioned rooms come with a smart TV. In-room safe, mini-bar and electric kettle are also included. The private bathroom has hair dryer and a heated shower facility. 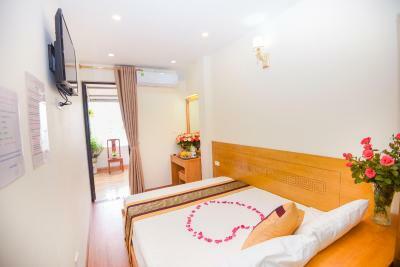 At Hanoi Old Town Palace Guest House, the friendly staff can assist with luggage storage and laundry service. Airport transfers, bicycle/car rentals and tour arrangements can be requested at a fee. 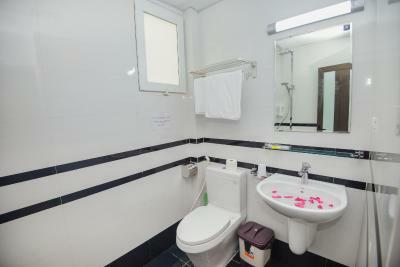 뀐 Located in the real heart of Hanoi, this property has an excellent location score of 9.0! When would you like to stay at Hanoi Old Town Palace Guest House? This single room has a mini-bar, air conditioning and private entrance. This double room features air conditioning, mini-bar and toaster. This twin room has air conditioning, toaster and mini-bar. 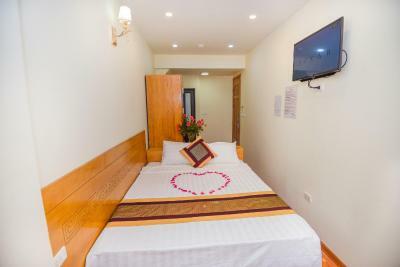 This triple room features a dining area, air conditioning and cable TV. This twin room features a dining area, mini-bar and view. This family room has a cable TV, private entrance and air conditioning. This quadruple room features a flat-screen TV, private entrance and air conditioning. House Rules Hanoi Old Town Palace Guest House takes special requests – add in the next step! Debit card Hanoi Old Town Palace Guest House accepts these cards and reserves the right to temporarily hold an amount prior to arrival. 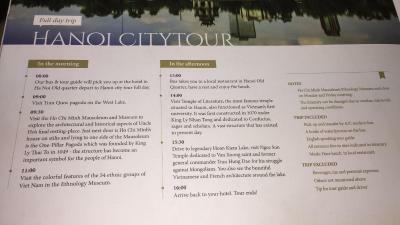 Hanoi Old Town Palace Guest House accepts these cards and reserves the right to temporarily hold an amount prior to arrival. The property provides airport transfers at a surcharge of USD 15 in a 4-seater car. Breakfast was very general (no vegs or fruit). Room was small with a little unpleasant smell. 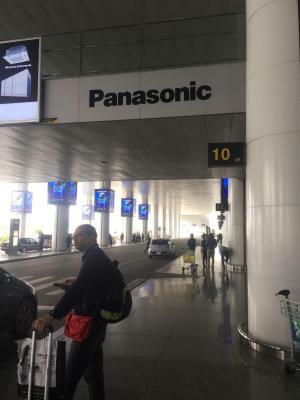 The place was a little hard to find at first. But once you’ve been there, then you can easily find your way back. The staff was really helpful and very accommodating. Helped us a lot in booking for Halong Bay cruise and for airport taxi. It was a bit difficult to find on my maps app, but just follow the alley. Some locals helped point us in the right direction. Old Town Palace was a great place for us when we arrived to Hanoi. The location is perfect, close to all the shops, restaurants, and markets in old town and not far from the train station. We plan on staying here again when we pass back through Hanoi on our way between other areas of Vietnam. Very helpful staff :) that helped us to arrange our taxi to the airport at early morning. Big and clean room. Room. Size a little small as was breakfast area and reception, however not that important. No safe in room which seems to be the norm in Vietnam. Staff were all great, bed was very comfortable and shower was clean with very hot water. These are the important things. Fantastic location, can walk anywhere. Good Internet too. Bad internet connection and a bit of mold issues. Otherwise it’s perfect! The narrow staircase. Limited breakfast. Fantastic beds. Late arrival possible. Friendly people. We liked the location of the hotel and the staff was very attentive and welcoming. We got a big room with comfy beds. The breakfast is limited but it included. The staff was very helpful and gave us great information about buses etc. they also let us store our luggage there on several occasions. This is going to be our hub in Hanoi and we recommend this place if you are looking for good hotel with great value. Sometimes there was a bad smell in the corridors. 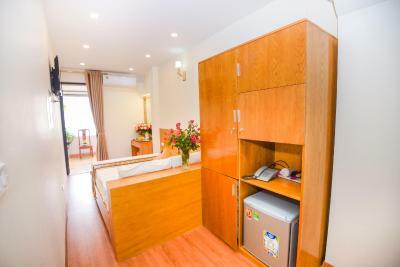 Good accommodation, 10 minutes or less walking to reach Hoan Kiem Lake. Clean room and has a simple breakfast included. Leo and the persons who work there were nice and helpful. I would stay here again. The staff were simply wonderful; sincere and incredibly helpful. The room was very clean and comfortable. 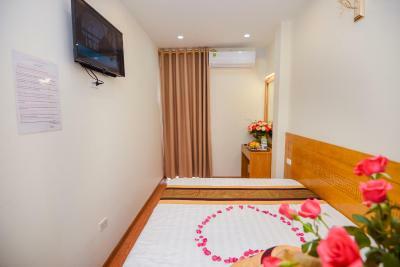 The location's also great, as you're close enough to the hustle and bustle of the vibrant Hanoi old town but tucked away nicely in a back street to enjoy some peace too. Hard to find. No direction signs around, despite it is at a narrow dead end.